BlackBerry is giving a new experience to people and more will be given in future, BlackBerry Passport comes in a unique design and is focused on enterprise users. BlackBerry is pitching the Passport as the smartphone for getting things done. It offers BlackBerry 10.3, the best BlackBerry keyboard yet, the fastest processor on any BB phone, as well as competes well with the BlackBerryZ30 in the battery life department. 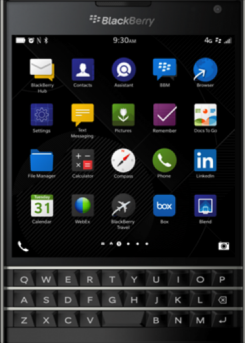 BlackBerry Passport also boasts of the best camera and display of any BlackBerry phone.